Wonderful gallery! 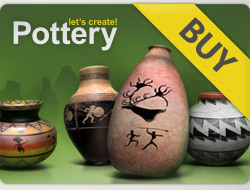 12 x 5 ***** for your newest beautiful pots! Hi, I visited your gallery and voted on 24 more pots with 5⭐️. Good job . I will be very glad if you have free time and can leave stars on my pots you liked. All the best, Dave . Найвищий бал для чарівних новинок! 5 ⭐️ for newest 20 fantastic pots.